What will be the required educational qualification? Those candidates who possess Degree of B.E. / B. Tech. / BBC. (Engineering) or equivalent in Civil Engineering from a recognized University/ Institute approved by AICTE with relevant years of experience in related field can apply for Executive and Assistant Engineer positions. To apply for West Bengal Police Housing & Infrastructure Development Corporation Limited Recruitment for Sub- Assistant Engineer positions, candidates should possess three years diploma course in Civil Engineering from an institute recognized by WBSCTE / AICTE. What will be the WBPHIDCL Recruitment process? According to West Bengal Police Notification, First of all candidates will be shortlisted on the basis of applications. 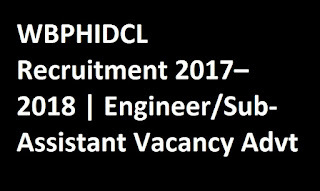 After that shortlisted candidates will be eligible to proceed for next process that in written test followed by Interview which will be conducted by the selection panel of this reputed West Bengal Police Housing & Infrastructure Development Corporation Limited. In the very first step candidates should go to the official site of the organization that is policewb.gov.in to apply for WBPHIDCL Jobs. You have to select ‘Recruitment’ tab that is given at the left side of home page. Now you need to select “Chairman & Managing Director, W.B.P.H. & I.D.C. Ltd. invites applications for the posts of one Executive Engineer (Civil), two Assistant Engineer (Civil) and six Sub-Assistant Engineer (Civil) for engagement purely on contract.” Link. Read the entire details carefully. Download format of West Bengal Police Application Form and attach it along with copies of all relevant documents and certificates in concern to preceding qualification and experience. Application should be submitted to the address that is given below till last date. 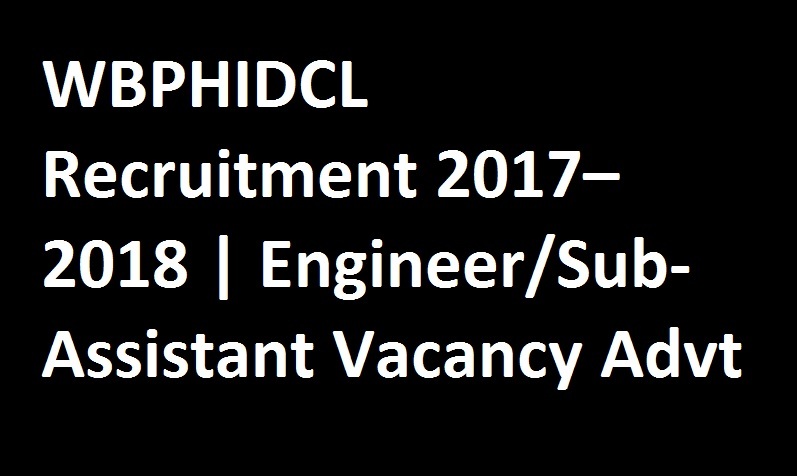 You may get other details about WBPHIDCL Recruitment 2017 – 2018 through this Official Link.